Coming soon! 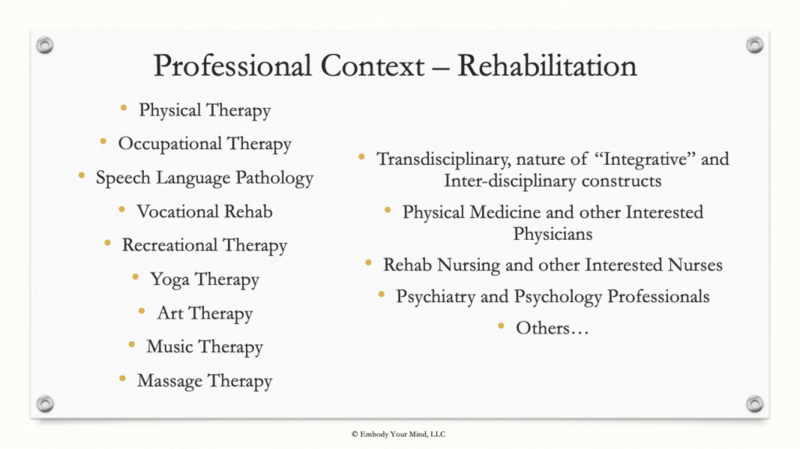 Integrative Rehab Practice: online CE Courses designed around the biopsychosocial-spiritual model to promote transformation in how rehabilitation medicine is formulated and delivered. 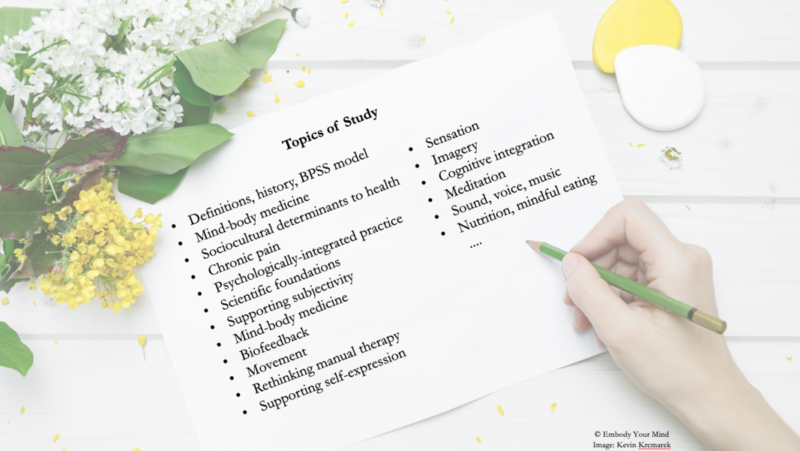 Many people have the perception that integrative medicine (IM) is predominantly focused on “CAM” – complementary and alternative medicine therapies. While CAM may be considered in the person-centered context of IM, we argue that “integrative” is fundamentally about exploring and engaging the whole-person in promotion of healing within and across levels – physical, mental, emotional, environmental, historical, relational/social, spiritual, nutritional, and so on. 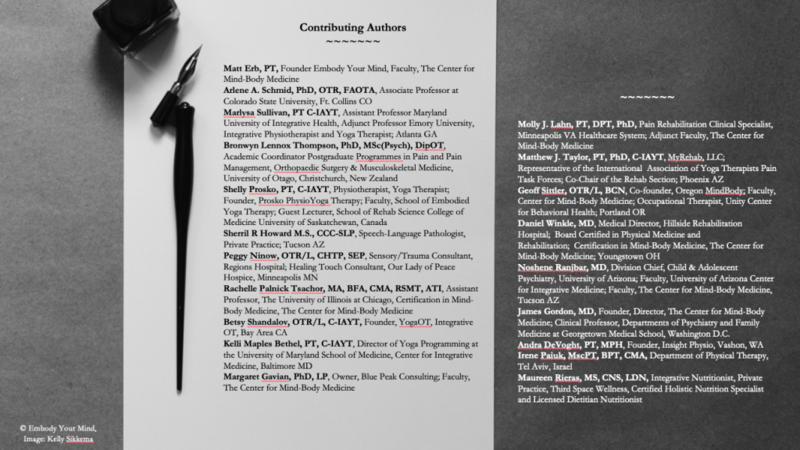 Finally, a textbook to promote the dissemination of the IM construct for rehabilitation professionals is in the works. It is slated to be published in late 2020 by Singing Dragon Publishers, London UK. The following experts will be contributing, stay tuned! !